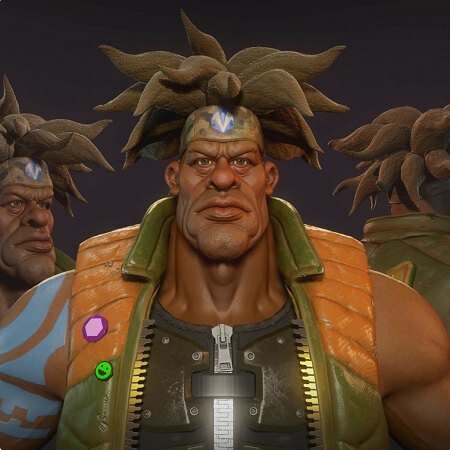 In this game art tutorial, you’ll learn everything you need to know in order to texture high-end characters for games. Gavin will take you through all the steps and will guide you on your journey to becoming a better game artist. There are almost 4 hours of quality training in this series, covering everything you need to know in order to get started with texturing for games. Learn how to UV map your character, bake maps, how PBR works, painting all your textures, how to use Substance Painter and much more! Substance Painter is the main texturing tool used, as it’s fast, easy to learn and extremely powerful. If you’re not familiar with Substance Painter, there’s an Introduction video included to get you up to speed in no time. After you’ve watched this series, you’ll be very comfortable using Substance Painter to make amazing characters for games. PBR (physically based rendering) is one of the most important topics to understand as a Game-Artist today – and it’s covered extensively. It’s a relatively new concept which makes texturing and shading a lot easier, while also making your work looks significantly better. There’s a whole chapter dedicated to PBR, to make sure you understand it properly. Baking using Marmoset Toolbag, you’ll learn everything you need to know about baking – from what baking actually is to how to bake good maps. Also covered are the various kinds of maps you need, such as AO, ID, Curvature, etc. In Marmoset, you’ll also learn how to work with cage-meshes for very precise bakes. Get a unique look into a fully textured and shaded character – ready for an AAA game. One of the best ways to learn is to look through scene files where you can reverse engineer the choices made. You’ll have access to all the final files created by Gavin Goulden – where you can really explore the finished textures and shaders. Currently working as a Lead Character Artist at Insomniac Games, Gavin Goulden is one of the most veteran game artists out there today! He worked as a lead artist on Bioshock Infinite and has a heavy resume under his belt. Check out more of Gavin’s amazing work on his ArtStation page.